Should I Have A Blog For My Business? When I first started in business for myself I was told over and over I needed to have 1) A blog, and 2) A Twitter account. At the time, Twitter was BRAND NEW and hardly anyone knew about it. I tried it for a few days, didn’t know what I was doing and only had ridiculous celebrity tweets in my feed. So I deleted it. Fast forward a couple years and I finally signed up for Twitter and I tried to set up a blog. I quickly became addicted to Twitter (when it really was about connecting with other people), but as for the blog….I started but had no idea what to do, so it sat unused. Now blogging is my business and I’m not quite sure how I got here! Seems like yesterday I hardly knew what a blog was. Besides, I didn’t get the point of a blog. It was just plain confusing. As I slowly began to teach myself the how’s of blogging, I grew more comfortable with writing short excerpts about the days at my little boutique, or an occasional rant, but there was still a big disconnect regarding the purpose of having a blog. It seemed like an online journal open to the world more than anything. I couldn’t relate with how it was helping my business. Soon, some of my customers starting reading my blog and giving me feedback. They would tell me how they appreciated a story I shared or enjoyed getting to know me on a different level. Finally, I realized the point of the blog was not to promote my business…it was to connect with and relate to my customer thereby creating a relationship. Talk about issues and topics of interest to your ideal customer. Provide information and education that is related to your industry. Share about who you are versus what you do. Make yourself relatable and talk at a level appropriate for your client. Most people assume that a blog is written to talk about them and their business. Wrong. Before you start a blog, have a clear understanding as to WHO your ideal client is (Read: Who Are You Doing Business For?). Once you have a clear picture of your clientele, make a list of topics that they would find interesting to read about. The goal is to make your name known as a place for reliable, relevant, and interesting information in your place of expertise. When it is time to need the product or service you are offering, they will recall your name and will be more likely to consider doing business with you. This is similar to what I shared above, but remember to keep your topics closely related to your service or product. A Real Estate agent may write about home design trends, but publishing an article on the latest fashion trends will create a disconnect. If you are a boutique, talk about fashion, colors, necklines, events in your city near your boutique, but don’t post about your favorite breakfast recipes. Appetizer or drink recipes might be ok, depending on how that incorporates with your overall identity as a business. If you host several in-store “Ladies Nights” then those types of posts may be relevant. The types of folks who are interested in micro and small business are the ones interested in the story behind the business. 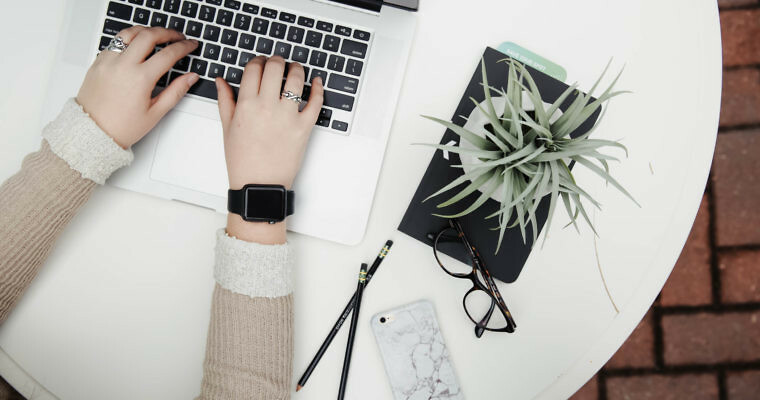 While you don’t want to make the blog ALL about yourself (unless you are strongly branding your business after YOU), don’t be shy about writing about who you are. Share your story, talk about what you like, and why, as it relates to your business. If you are a photographer, blog about your hike up a trail to get that perfect shot and any mishaps or stories along the way. If you are a baker, share about how you started in baking or some of the times you made a disaster and got a good laugh out of it. Get the idea? BE RELATABLE AND TALK AT A LEVEL APPROPRIATE FOR YOUR AUDIENCE. I’ve noticed that when people start blogging they think they need to have an impressive vocabulary or perfect grammar. Unless you are in a technical or highly sophisticated industry, my personal opinion is to be yourself. I write at an elementary or middle school level. Not because I think readers are unintelligent, but because I want to make sure as many people as possible can understand quickly what I am trying to communicate. Be less concerned with flowery language, big words, and impressive sounding sentences – and write how you talk. Even among more “professional” industries, like financial and investment businesses, blogs should have the goal of being written in a manner that explains, in plain language, concepts so that someone who knows nothing would be able to grasp what the article is saying. It is frustrating to read an article in which you have no idea what they are talking about. Sounds impressive, but you don’t get anything out of it. Bottom line: Don’t try to prove how smart you are. In a nutshell, a blog is a bridge. You want to let someone know, “Hey. I see you. I understand you. I can relate to you.” You give them a peek into who you are and why you do what you do, then you talk about issues that matter to them. As a result, an emotional/heart or mind connection is made that goes a little deeper than someone clicking on an ad. With each level of connection you make with your client or customer, the more loyal they become and are much more likely to be long-time clients versus a one-time purchase or service. So, YES. I believe blogs are critical for just about every small or micro business. You can touch someone, and stay in relationship, through a blog, better than through anything else. The key is to remember that your blog is not about you…but about them.